Visser has a tremendous following on Instagram and other social media outlets like Twitter. He is an American model and aspiring DJ. He is friends or associated with Madison Beer, Meredith Mickelson and Alissa Violet. It was rumored that he was dating Alissa Violet. He was also seen kissing Cindy Kimberly, after they took a trip to Spain and got very close. 1. Neels is a model for Next Model Management. 2. He is very popular on social media with over 150K followers on Twitter and 1.5m followers on Instagram. 3. 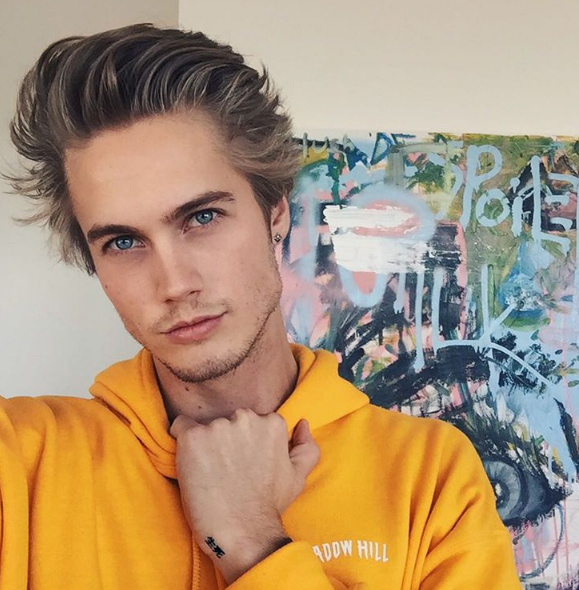 Neels sister is named Kendall Visser who is a model and Instagram star in her own right with over 40K followers. 4. He is the owner and CEO of the online clothing retail store Living Regal. 5. Neels is an amateur painter and has posted some of his work on Twitter. 6. As a child, Neels was a sailing enthusiast and was on a sailing team. 7. On November 3rd, 2016 he tweeted a picture of a page from a notebook stating that he was filling it over time to look at when he is very old. 8. He often posts inspirational and motivational things via his Twitter account. 9. Neels is friends with Lucky Smith who is also a model for Next LA. 10. He has a YouTube channel named after himself.